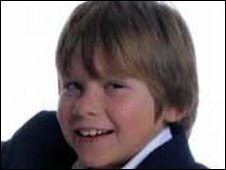 Sam was "loveable and hugely popular"
An 11-year-old boy who was killed when a car mounted a pavement and hit a group of pedestrians was on his way home from a church service. A white Ford Focus crashed into Sam Riddall in Eastfield Road, Westbury-on-Trym, Bristol, on Friday evening. Police said that Sam became trapped underneath the vehicle, which was driven by a woman in her 30s who then fled the scene. A man was treated for minor injuries while some other children were unhurt. The driver has been described as white with long blonde hair and in her mid-30s. No-one else was in the vehicle at the time of the crash. Witnesses have said the car hit other vehicles parked on the road. They said skid marks along the road and pavement showed where the car screeched across the kerb, towards a wall, and then veered back on to the road. Insp Rob Pearson said Sam's parents Martin and Rachel and his three brothers attended church on Sunday morning. The police officer said officers tried to track the movements of the driver after the accident. A police dog and its handler were brought in to pick up her trail, although they soon lost it. He said: "We are not giving out information at this time as to how the car was being driven and we will be looking at a range of potential offences." 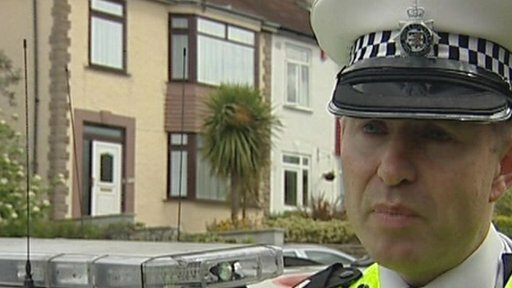 Police urged anyone who knows the whereabouts of the driver to contact them. In a statement, Sam's parents described him as "hugely popular". "Sam was a sociable, loveable 11-year-old who enjoyed playing football. "He had many friends and enjoyed life to the full." 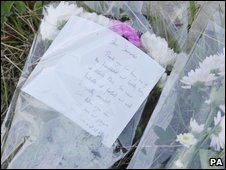 Floral tributes have been laid at the scene. One bunch of flowers was signed "Chris" from the Alberts Place Church Youth Club, of which Sam - whose family moved to Bristol from Birmingham several years ago - was a member. It contained a card which read: "Dear Sammie, thank you for being one of the most friendliest and loveliest boys at Alberts Place. "You were a fantastic footballer and will be greatly missed. "God bless you now with love and prayers." People who lived near the scene said they were shocked. One man, who did not want to be named, said: "It is absolutely horrific. "You can see the narrative of events by the skid marks, you can see the point at which the car hit the kerb and then it must have dragged along the pavement and crashed."